The terms “good shooting” and “bad shooting” are in quotes for a reason – there are rarely “good” shootings. Even in some extreme circumstances, shooting to injure or kill should be a last-resort option when you feel threatened or that your life is in danger. From a police officer’s point-of-view, however, there is a difference between a justified, legal use-of-force and committing murder or, at the very least, manslaughter. These days, the police shootings against unarmed African Americans has spawned widespread criticism across the United States, such as the Black Lives Matter movement. As a Denver civil rights and police misconduct attorney, it can be clear (in most cases) whether or not the police used force responsibly and legally, or if the police officer was too trigger happy and led to someone’s death. Nevertheless, many Colorado residents are unaware of some of the subtle and more nuanced legal definitions that separate “good” and “bad” shootings. In this post, we’ll attempt to clear up some of these misunderstandings. In the meantime, if you or a loved one was shot by police, you shouldn’t hesitate; call the Civil Rights Litigation Group in Denver CO today at (720) 515-6165. Colorado police officers have several options when dealing with a potentially deadly, or even dangerous, suspect, and whether the police officer goes for the Taser or his/her gun often depends on the officer’s intuition during these split-second decisions, even more so than any standard protocol. Nevertheless, the rise of unjustified police shootings shows that “intuition” can lead to wrong decisions, resulting in an individual’s death. Colorado law authorizes police officers to use force in specific situations, such as to carry out an arrest or prevent a suspect from escaping. Police can also use force to defend themselves or another person from the use or imminent use of force. The degree of force, however, depends on the unique circumstances of the situation, whereas deadly force may be justified when it is met with deadly force. For instance, deadly force may be justified when a suspect is committing a felony that involved the use or threatened use of a deadly weapon. Deadly force, in virtually all cases, is not justifiable when the suspect is committing a misdemeanor. Colorado law makes it a crime for a police officer to use “excessive force,” which occurs when a police officer continues applying physical force even though the suspect is unable to resist arrest. When a suspect is running away, that suspect is less likely to pose a threat, and a Colorado police officer is only justified shooting a fleeing suspect in very specific circumstances. For instance, the 1985 Supreme Court case Tennessee v. Garner better defined the so-called Fleeing Felon Rule. According to the ruling, officers cannot shoot unarmed, non-dangerous suspects out of concern that they may escape. Police may shoot the suspect if the police believe that the suspect will cause serious injury or death to the officer, other officers, or the public, if not apprehended. It is always important to remember that Colorado law recognizes that police are sometimes put in potentially dangerous situations; for this reason, case law states that the police officer may judge whether or not the use of force was reasonable and necessary, and not the facts and circumstances of the situation, which may come to light later with perfect hindsight. Whether a person is dangerous, and how dangerous that person is, is rarely easy to determine. Nevertheless, there are many laws in Colorado that differentiate a “good” shooting from a “bad” shooting. If you believe that a friend or a loved one was shot due to excessive force exhibited by the police, it’s essential to act as soon as possible and call Denver civil rights attorney Raymond Bryant. 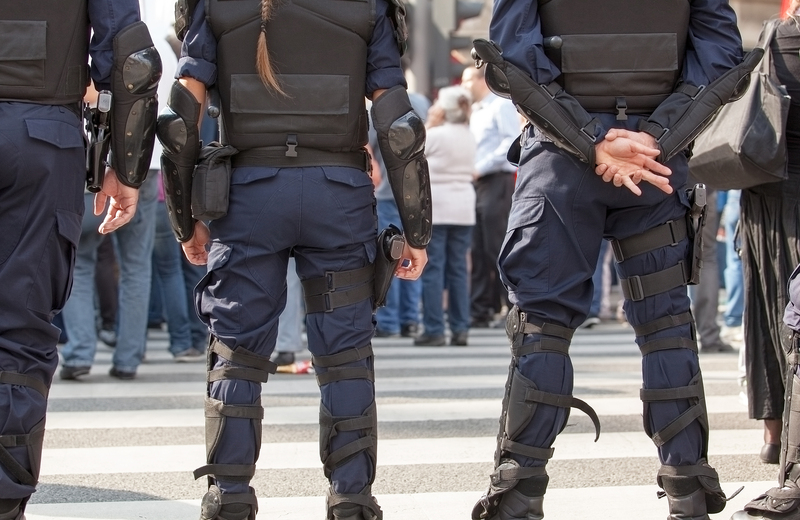 At the Civil Rights Litigation Group, we have the resources, experience, and legal insight to take on police officers when misconduct has occurred. For a free, no-obligation consultation with an experienced civil rights attorney, call our Denver law office today at (720) 515-6165.